Calgary Coupon Momma: Backyardigans Live Giveaway!!!! Who wants to go to see the Backyardigans Live in Calgary on March 2 at 4pm? I have a family pack of tickets and gift pack up for grabs! 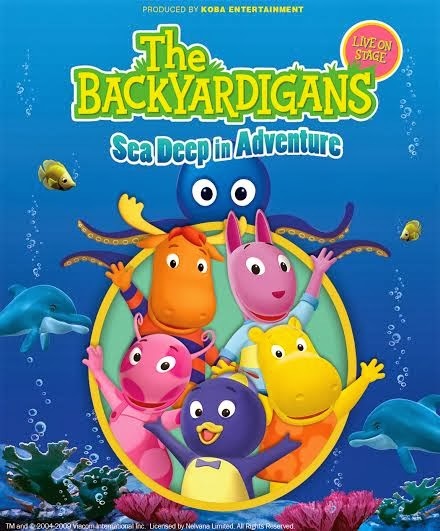 Backyardigans Live: Sea Deep in Adventure is a live action adventure that will delight every family! 1. Name the character who is the blue penguin. 2. What type of animal is Tyrone? 3. Name the character who has a slide in their backyard. 4. What color is Tyrone's shirt? Contest closes February 19th at midnight. Winners will be contacted shortly after via email.